In 2017 Stearns Bank donated $108,680 to Wounded Warriors Family Support as part of its Stearns Salutes Veterans Day campaign. 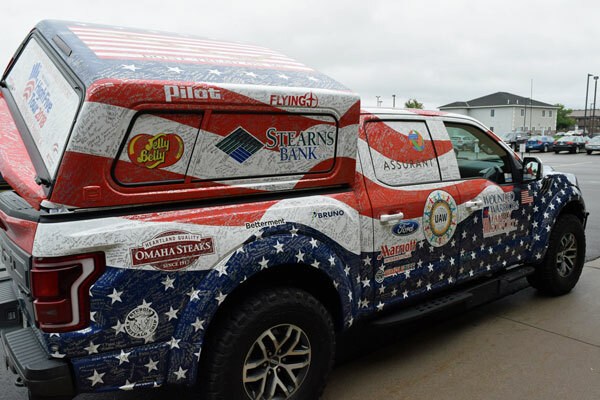 Stearns Bank's donation was used to purchase vehicles for Native American veterans living on remote reservations. Thanks to the donation, these veterans now have reliable transportation to their medical appointments and jobs. 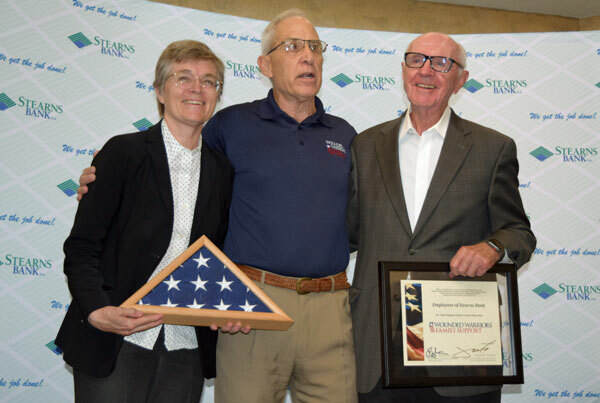 Stearns Bank generated the large contribution by donating all loan packaging fees and documentation fees collected from borrowers during the week leading up to Veterans Day in November 2017. To honor that donation, Wounded Warriors Family Support's High Five Tour stopped by to visit the Stearns Bank Financial Center on Sept. 4, 2018. 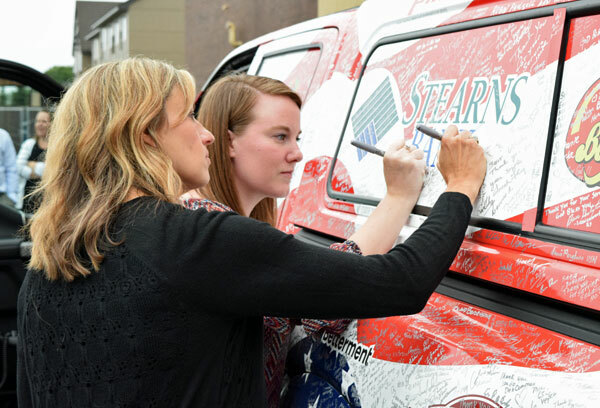 A mobility-equipped 2018 Ford F-150 Raptor, that will be donated to a deserving veteran, was autographed by Stearns Banks employees. Our CEO and owner, Norm Skalicky, was presented with an American flag by Wounded Warriors Family Support's founder and president, Colonel John D. Folsom. The flag was flown over the headquarters of Regional Command (Southwest) and Marine Expeditionary Bridge-Afghanistan aboard Camp Leatherneck in the Helmand Province of Afghanistan during Operation Enduring Freedom on Sept. 29, 2014. This is the ninth annual High Five Tour. Stearns Bank is proud to be a partner of Wounded Warriors Family Support.